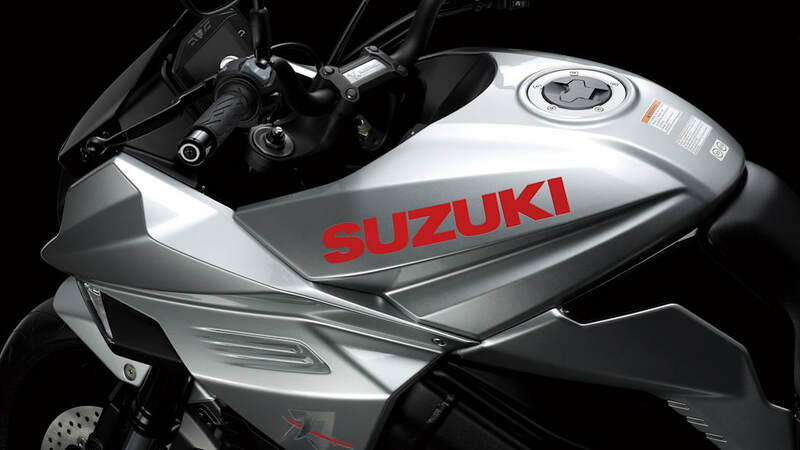 At the Cologne INTERMOT motorcycle show, Suzuki has shown its all-new Katana bike. 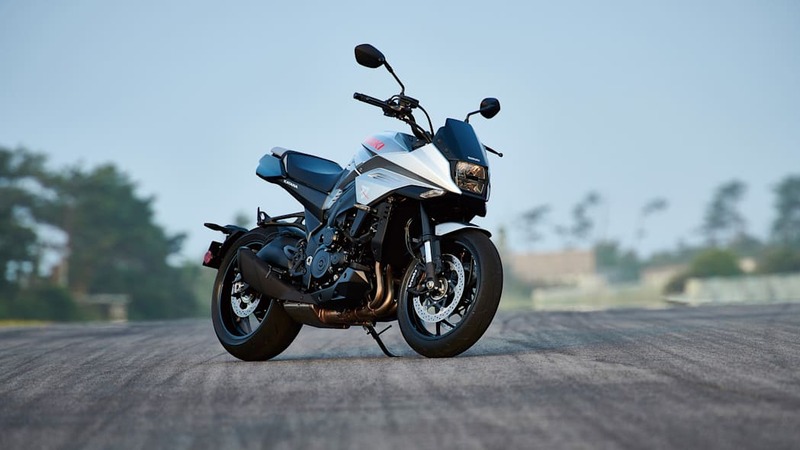 The model brings back the classic, sword-referencing Katana name, which the manufacturer first used in 1980 — that bike, the GSX1100S Katana, was also unveiled in Cologne all those years ago. 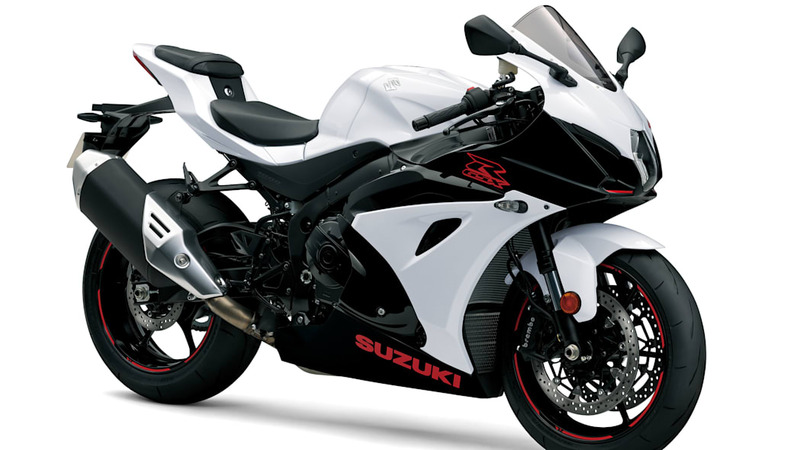 The bike utilizes a modified version of the GSX-R1000 engine in a lightweight, twin-spar aluminum frame. 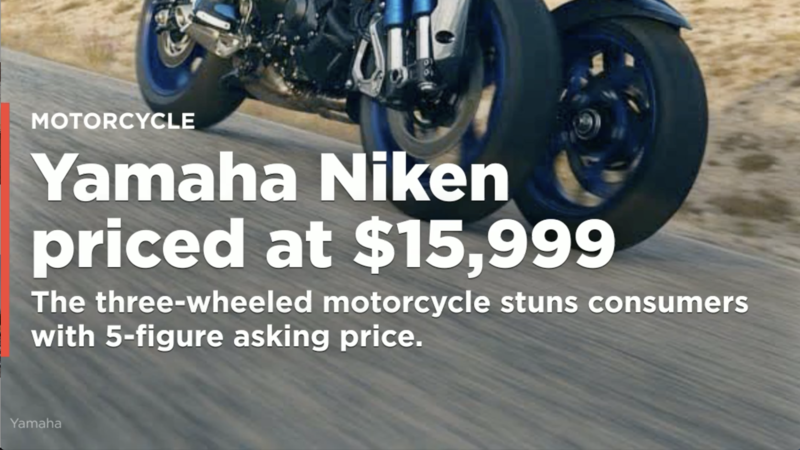 The engine's 150 peak horsepower comes at 10,000 rpm; the bike weighs 474 pounds. 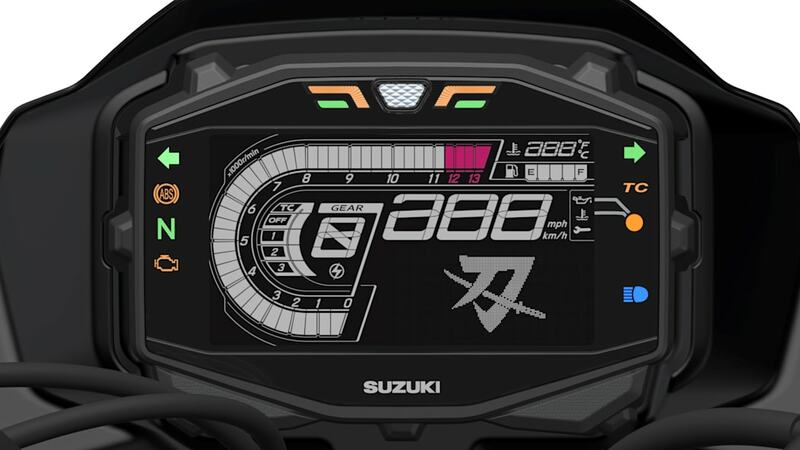 There's a fully digital gauge cluster, complete with the classic Katana logo. 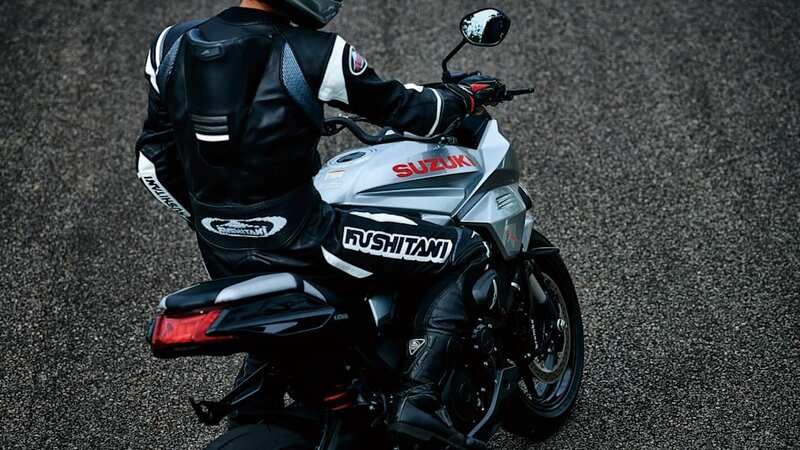 The bike's styling is quite dynamic, as if it were in fact sliced into completion using a Japanese sword. 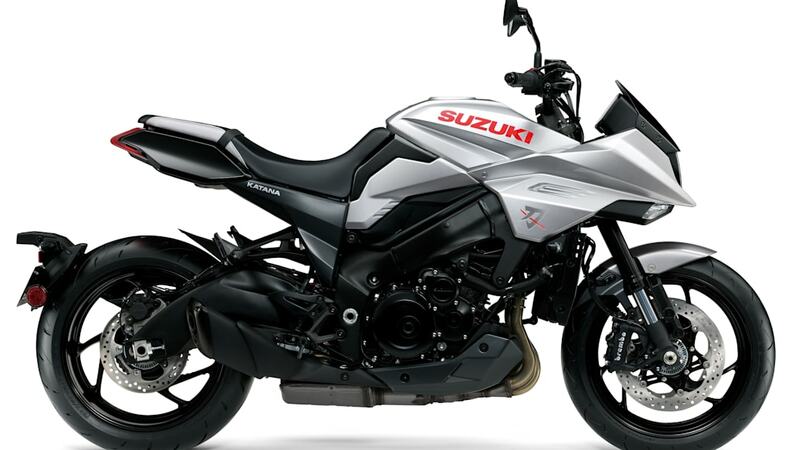 It is highly reminiscent of the Katana 3.0 concept Suzuki showed last year at EICMA — consider the new Katana a road-going version of the concept bike. 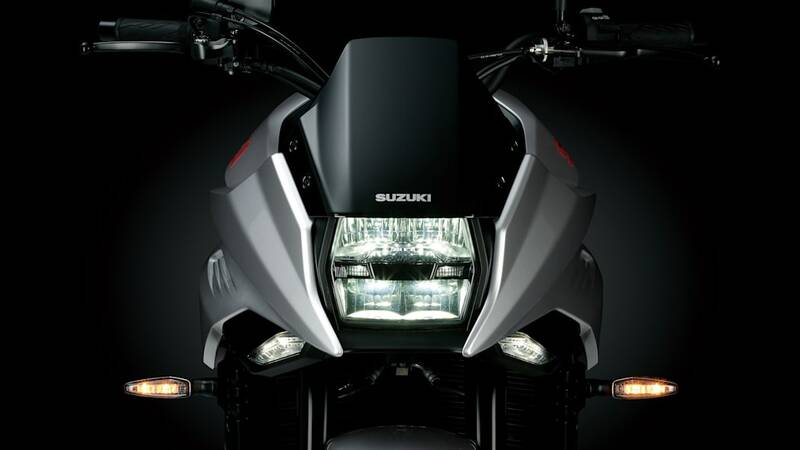 The stacked headlight has LED running lights, and the taillight, fitted in the angular tail, also comprises LEDs. 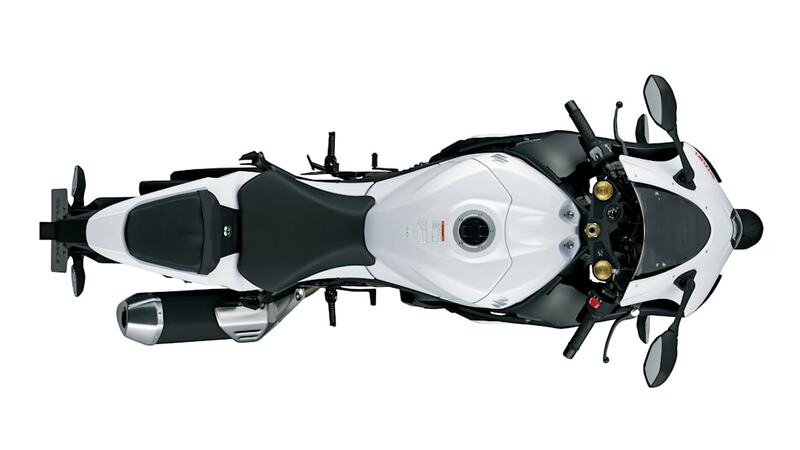 The plate in turn is fixed on a swingarm extension, as near the rear tire as possible. 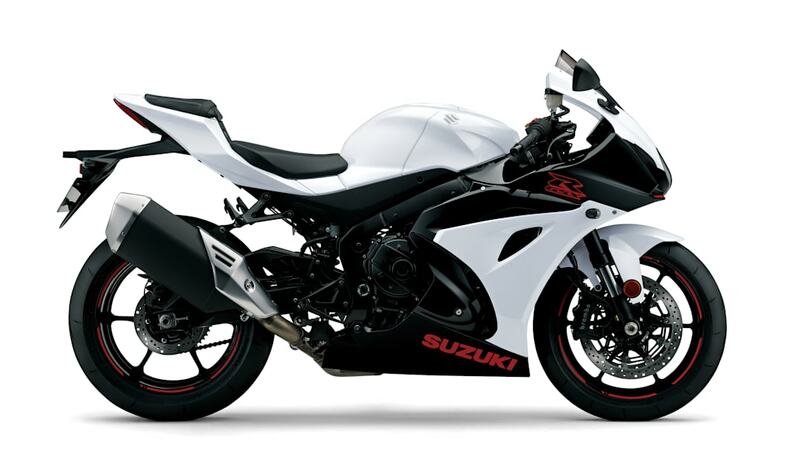 There are fully adjustable 43mm USD front forks and an adjustable rear shock from KYB, Brembo brakes from the GSX-R1000 and Bosch ABS. 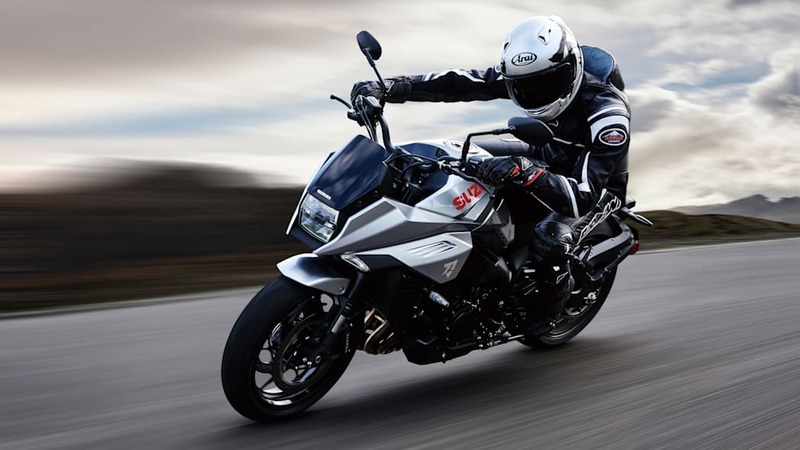 A three-mode traction control system is included, but it can also be excluded via switching it off. The system monitors wheel speeds, throttle and crank position, adjusting timing and air delivery to reduce engine output when it notices wheelspin. 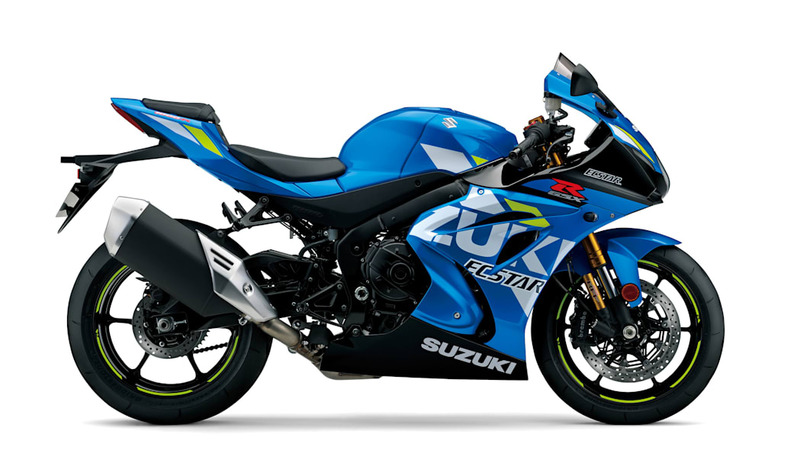 The related GSX-R1000 and R1000R models are also updated; the latter gets an adjustable swingarm pivot and new stainless steel braided brake hoses. 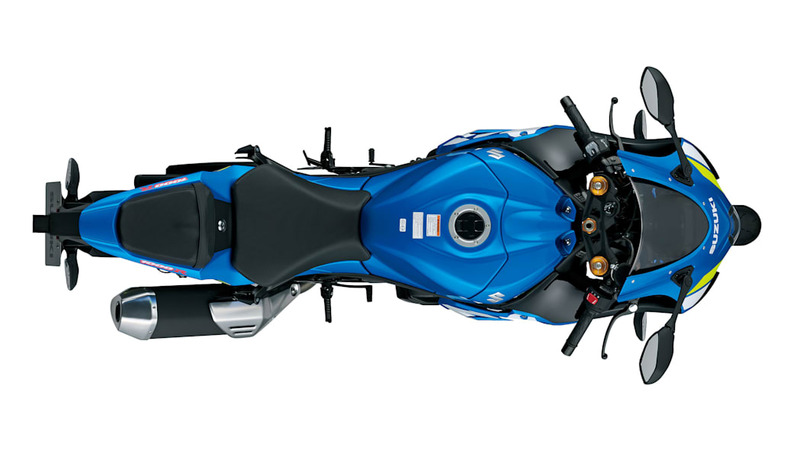 The R1000R's bi-directional quickshifter and auto-blipper are now standard on the R1000, enabling smoother gearshifts. 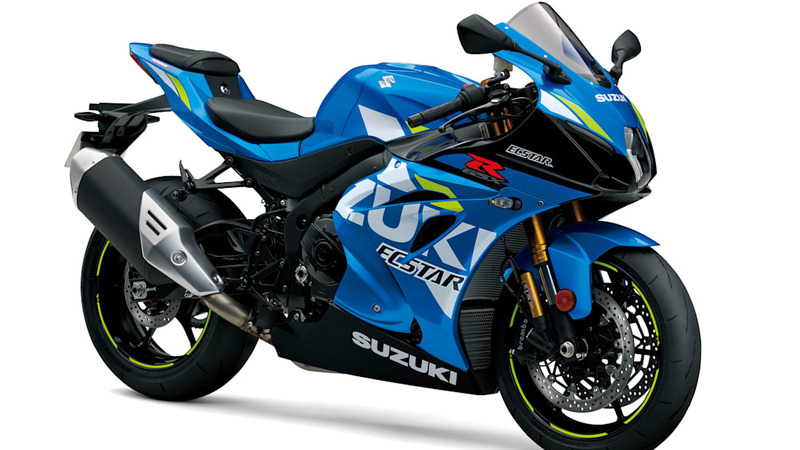 The Katana and the updated GSX-R1000 and GSX-R1000R reach dealers in spring 2019.